WASHINGTON, D.C. – Nicaragua’s political opposition, despite its noisy protests against President Daniel Ortega and his ruling Sandinista National Liberation Front (FSLN) party, has virtually no chance of winning next year’s elections. That’s because Ortega enjoys a 74 percent popularity rating, according to the latest Gallup poll, and because Nicaragua’s feeble opposition isn’t connecting with average voters or raising issues people really care about – like poverty and rising crime. So says a panel of think-tank experts at a recent Washington conference arranged by the nonpartisan, nonprofit Inter-American Dialogue (IAD). Chamorro said polls conducted by his organization show that for the last 10 to 15 years, the economy has been the main issue for 75 percent of Nicaraguan families. And while 77 percent of respondents in the survey view the economy as having improved in recent years, 48 percent say they’d leave the country if they had the chance. Last week, some 300 anti-government demonstrators demanding clean elections in 2016 were stopped by police from assembling outside the Supreme Elections Tribunal in Managua. And the week before, riot police fired tear gas to disperse 200 people taking part in a march; both legislators and journalists covering the demonstration were beaten. 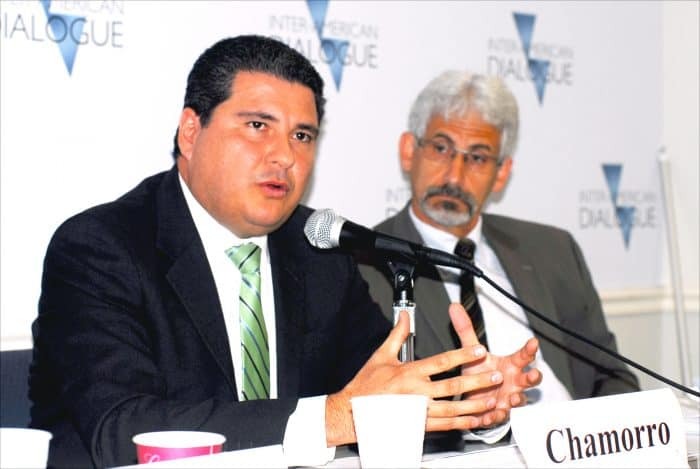 Attempting to answer that question, along with Chamorro, were Carlos Muñiz, honorary director of FUNIDES, and Jim Swigert, regional director for Latin America and Caribbean programs at the Washington-based National Democratic Institute. Some of the key elements of the reform process: the removal of term limits in presidential elections; the elimination of a second round, and more direct, partisan control of the military and the Inter-Oceanic Commission, which is pushing to build a $50 billion, Chinese-financed waterway across Nicaragua to compete with the Panama Canal. Chamorro said FUNIDES doesn’t oppose the idea of the 259-kilometer-long canal per se, but that it has “serious concerns” about how this particular project was rammed through the National Assembly in only two days – barely enough time to discuss or get feedback from civil society groups. Swigert warned that the Ortega government’s policy of conflating the Nicaraguan state with the Sandinista party itself has “closed spaces for independent or opposition parties at all levels” and boosted the power of so-called citizen power councils (CPCs). “Last year, nearly 25 percent of Nicaragua’s population reported participating in CPC meetings. In practice, FSLN affiliates are favored in housing and scholarships, and those not so favored may be denied access to government services,” he said, adding that more than half of Nicaragua’s citizens are afraid of openly discussing politics. In any event, most observers think the 69-year-old Ortega is likely to run again, if his health permits. 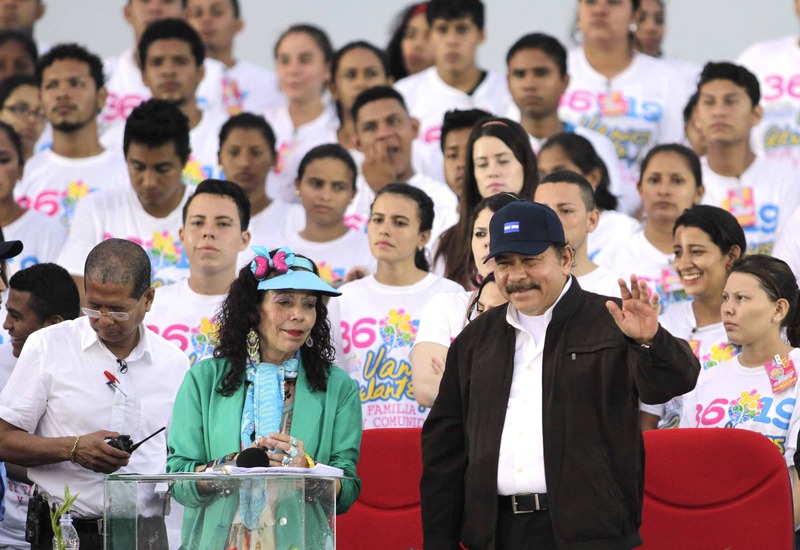 “Only Ortega can hold the FSLN together, given internal dissent – and talk of divisions within the FSLN is overstated,” Swigert said, noting that the Sandinista party captured 134 of 153 municipios in Nicaragua’s 2012 local elections. It’s for that reason, he says, that the aging revolutionary has little to lose if the Sandinistas were to reform the system.